Janette (Jenny), Noelene and Ross White in the second half of 1940s. Noel & Lily White Collection. We launched The Carrolup Story on the 10th November 2018, the 85th birthday of Noelene White. Noelene is the daughter of Carrolup schoolteachers Noel and Lily White. I have known Noelene for two years, a far shorter time than the 30-plus years that John and Noelene have been close friends. It was in fact Noelene who suggested that I meet John Stanton, not just because we had a shared interest in, and passion for, the Carrolup story, but because she thought we would get on very well. How right she was! During the time I’ve known her, Noelene and I have become very good friends. She has told me many stories about her time at Carrolup and showed me all her family treasures associated with that time of her life. We’ve had many a long discussion about the children of Carrolup and shared a few tears and many good laughs. Noelene has encouraged me to write a book about the Aboriginal children of Carrolup, although I didn’t need much persuasion! She has allowed me to use any of her family treasures for the book, knowing that they will help bring the story ‘alive’. John and I also have permission to use any of her treasures for this website. In an interview I did with her in 2016, Noelene said to me, ‘… and my dad thought, and mum thought, it was gone and lost forever.’ Her parents were shattered by the fact that the children were not going to get the recognition they thoroughly deserved. Noelene has always hoped that the children would get this recognition and she is thrilled by events of more recent years. However, she realises that there is so much more that can be done to help these children gain more recognition of their achievements. Our website and book will assist in this regard. Of course, Noel and Lily White also deserve considerable recognition for what they achieved at Carrolup. It can’t have been easy for Noelene knowing for many years that very few people knew of what her parents had done at Carrolup. We have used some of what Noelene has told us in our forthcoming book. Here is a section from a chapter entitled Noelene White’s Memories, followed by a short clip of an interview that John did with Noelene back in 2005. Before proceeding, I should remind you that the vast majority, if not all, of the Aboriginal children at Carrolup had been taken from their families as a result of government policy. It’s incredible to think that it is over 70 years since I went with my family to Carrolup Native Settlement. In May 1946, I began a journey which continues today. I had the great fortune to meet a group of remarkable children, the Aboriginal children of Carrolup. I was in a situation that will never be repeated, and I feel honoured to be part of this wonderful story. Naturally, many of my memories have faded over such a long period of time. However, some things I remember almost as if they had occurred yesterday. David and John have used some of what I’ve told them elsewhere in this book. Here are just a few of my other memories. I do hope that they bring some parts of the Carrolup Story alive for you…. Most of the children on the settlement in those early years were very friendly and always wanted to talk to you. They were never nasty or aggressive to us, nor disrespectful. They never swore at us. Sure, there were some bullies – Edith Smith told me about them – but they never bothered us white children. 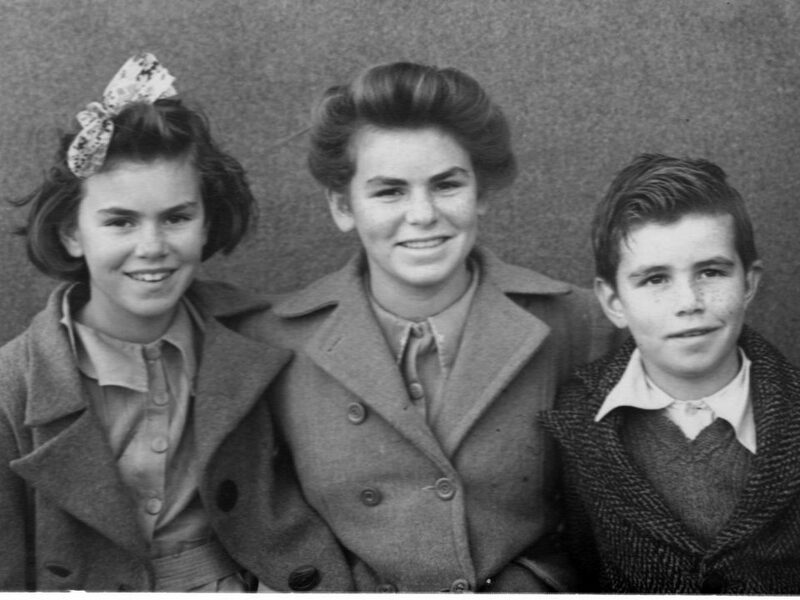 I was working in Katanning in 1950 when most of the Moore River children arrived (cf. Chapter 26), so I don’t really know what they were like. It’s hard to think that only a few of the Aboriginal children at Carrolup had their parents nearby. Most had been taken from their parents and would never experience a childhood with parental love and touch. Nor would they have the opportunity to learn from their parents. We take these things for granted when we are children. 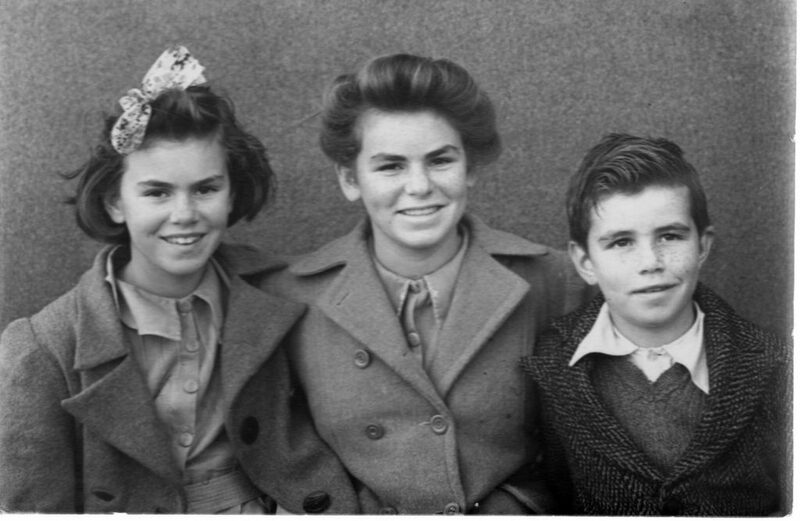 The closest that most of these Aboriginal children had as parents on a day-to-day basis were my Mum and Dad. I remember Dad walking off to work in the morning, with little Aboriginal children running alongside him wanting to hold his hand. This happened numerous times. A number of the children would hang around at the back of our house in the hope of getting some cookies or cakes that Mum had made. We interacted with the children so much that we even started to talk like them at times! They had some strange ways of expressing themselves. For example, they might say, ‘Did you arksin (ask him) to go and see Barry?’ Mum and Dad used to tell us we’d better stop, or we might talk like that permanently. The Aboriginal children would often shout, rather than speak in a normal volume, and we would often imitate this shouting. We had such good times. I often used to go over to the school in the evenings and play the piano. Once I’d finished, I would come out of the schoolroom to find groups of Aboriginal children who had been listening to my playing. It’s still lovely to think of those children listening to me playing classical music as the sun went down, or the moon came up. © The Aboriginal Child Artists of Carrolup by David Clark and John Stanton, to be published in early 2019. Noelene White, daughter of teachers Noel and Lily White, lived at Carrolup during the second half of the 1940s. Filmed by John Stanton in Armadale on the 13th October 2005. John is co-founder of The Carrolup Story (www.carrolup.info), a unique Storytelling, Education and Healing resource.